The owner is so rich until he/she can easily turns his/her car into a Hello Kitty themed Porsche. 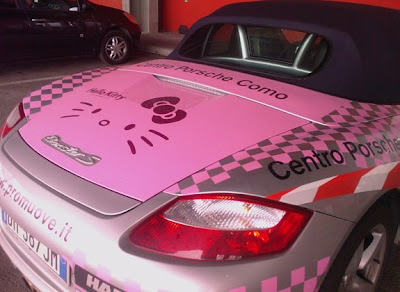 This Hello Kitty Porsche can be found in Italy. Freakin' awesome! 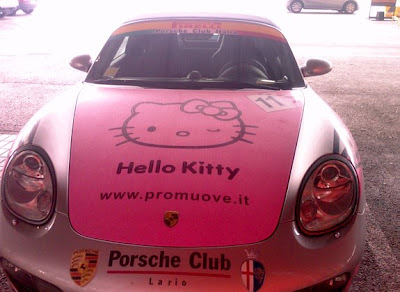 wah, dh jadi porsche "hello kitty" boxster le plak..
Oh My, is all i can say. I've never seen anything like it. My sister would totally freak.